Turku, Finland – 20 September 2014 – Teleste, a leading provider of video and broadband technologies and services today announced the deployment of Teleste’s Luminato headend platform for OLL.TV, a member of Media Group Ukraine and System Capital Management. The platform will be an integral part of live TV reception in a new Over-the-top video service called OLL.TV. 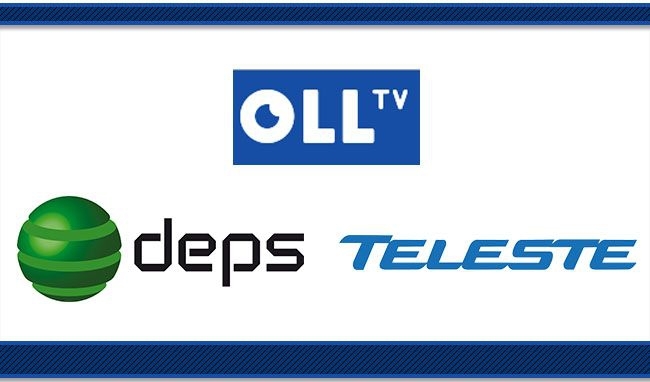 Teleste partnered with DEPS, the main system integrator of this multi-vendor OTT project, to provide OLL.TV with a headend solution that is easily tailored to meet the customer’s requirements and offers excellent price/performance ratio and lead time. As the number of channels broadcasted by the new service will grow up to 250 in 2014, Teleste Luminato will ensure top performance and reliable, high-quality reception for the service audience. Read more about the Luminato platform. “We are pleased to support our close partner DEPS with the deployment of the Luminato headend platform for OLL.TV’s new OTT service. We can confident that our solution fulfills the customer’s expectations for high service quality and ensures that the growing Ukrainian Internet video audience can enjoy seamless and rich service experience” , said Hanno Narjus, SVP of Video and Broadbans Solutions for Teleste. Senior Vice President, Video and Broadband Solutions, Teleste Corporation. About Teleste: Teleste is an international technology company that develops and offers video and broadband technologies and related services. Our supply of technology contributes to the convenience and safety of daily living. Our core business is video - image and data processing, transfer and management. Our customer base consists of cable and telecom operators, as well as public sector organizations. Our business is divided into two divisions, which are Video and Broadband Solutions and Network Services. In both areas, we rank among the world's leading companies and technological forerunners. Video and Broadband Solutions focuses on access networks and product solutions in video surveillance applications. Network Services offers comprehensive services for network design, construction and maintenance. In 2013, Teleste's net sales totalled EUR 192.8 million, and the company employed about 1,300 people. Teleste runs a worldwide network of offices and more than 90% of its sales are generated outside of Finland. The company is listed on the NASDAQ OMX Helsinki Ltd. For more information, please visit www.teleste.com and follow @telestecorp on Twitter. About Oll.TV: Oll.TV multimedia service is owned by Digital Screens, LLC, the part of Media Group Ukraine, SCM. Digital Screens, LLC operates in the media market since 2011. OLL.TV multimedia service enables access in HD to licensed VOD content, including movies, TV series, animated cartoons, live football and entertainment events and TV channels (IPTV). Since 2014 OLL.TV provides OTT access to more then 130 live TV services at the whole territory of Ukraine. Visit oll.tv to get more information. About DEPS: DEPS – is one of the largest Ukrainian IT- distributors that specializes in the design and implementation of integrated communication solutions for companies of any level and industry direction. Since 1991, DEPS has been successfully operating in the telecommunication market of the country. The company has established itself as a reliable partner which is not only engaged in the goods delivery to the customer , but also participates meaningfully in the promotion of advanced technology solutions of world level. Our specialists carry out all kind of works during the establishment and operation of telecommunication systems , including design, installation, commissioning and maintenance. Company operates in Eastern Europe, Middle East, Central Asia and South America regions. For more information, please visit depsglobal.com.